DAILY FEES: $3.00 ATA AND $3.00 NCTA. PRACTICE ROUNDS $3.00. IN LIEU OF TROPHIES, $3.50 OF EACH ENTRY WILL BE RETURNED AS PRIZES. BRING YOUR OWN SHELLS. FOOD AND DRINKS AVAILABLE. ONLY LEAD SHOT IS PERMITTED. EVENT 4 - HIGH OVER ALL. TOTAL SCORES ON EVENTS 1, 2, 3. Neither the ATA nor Coharie Shooting League will be responsible for any accident or loss of property. ATA rules will govern all events and the scores will be included the official record. 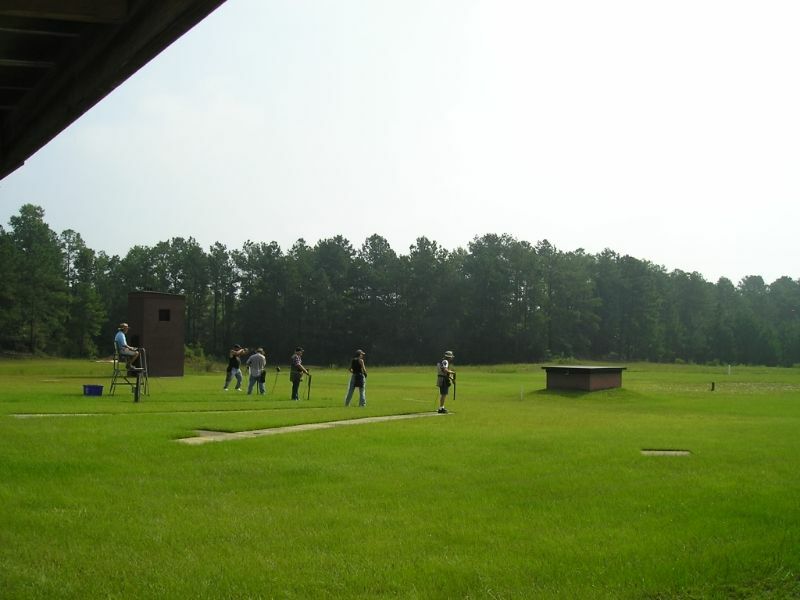 Shooters and visitors assume all responsibility for injury or loss of property. Management reserves the right to change the program or to reject any entrant for sufficient reason. sharp curve, turn left on Boykin road. Road becomes dirt in 0.3 mile. Continue and stay left when road forks. Go 0.7 mile to club.